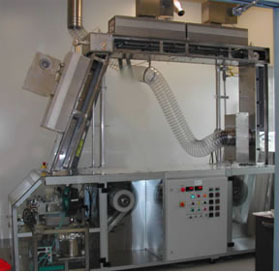 Applied Engineering Corp. has designed, purchased the components and managed the complete installation of the manufacturing area for major cosmetic corporations. 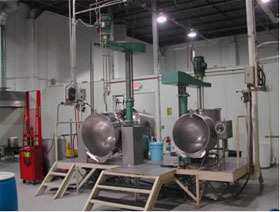 This system includes steam generator, mixing tanks, homogenizers and lifters. 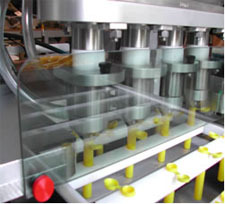 NBSC1 is a machine specially built by Applied Engineering Corp. to produce FibraCel disks which are unique solid support matrix for producing high density cultures in microbiological fermenters. Cells grow in, on and between the porous multi-layer disks. 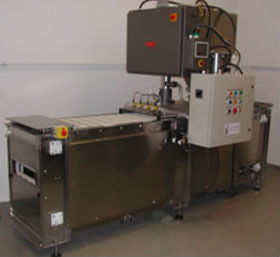 This is a semiautomatic vial filler for filling vials or bottles with either powder or liquid. 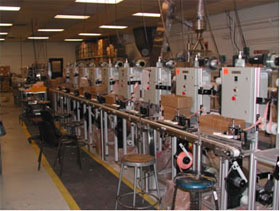 The vials are loaded manually. Filling is automatic. 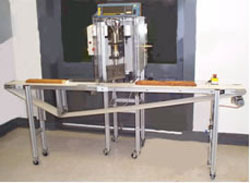 The machine can produce 60 to 80 filled vials per minute. 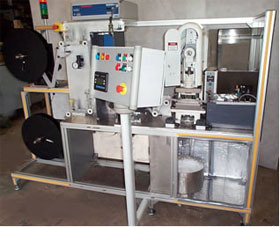 The machine has an automatic detector of container presence, a low fill detector and a missing or open cap detector. 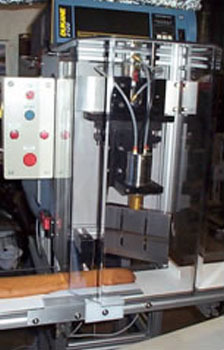 A reject mechanism for low fill bottles is incorporated.